Initially Waddell and some friends took on the jack-rabbit hordes using Ruger 10/22s and a .44 Magnum Marlin lever gun. Neither option was ideal. The .44 Magnum just couldn’t keep up the desired shooting pace (it took too long to reload) ant the .22 LRs were too anemic. So Waddell decided to give the more potent 17 HMR a try. He acquired a Savage A17 and went back for a second bunny-busting session. 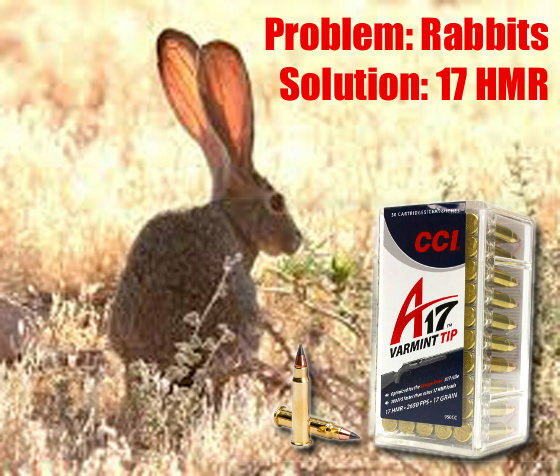 He came away convinced that the 17 HMR cartridge in the modern semi-auto Savage works great for small varmint control. I couldn’t believe my eyes when I saw a sea of rabbits as far as the lights would shine and when the light beams hit the bunnies, they became confused and as often as not, would run right at the lights so a good percentage of our shots were literally in spitting distance. It was also a new experience shooting at targets that are running TOWARD you. Most of us who’ve done much hunting for game or varmints have experienced moving targets but how many of those targets are coming at you? 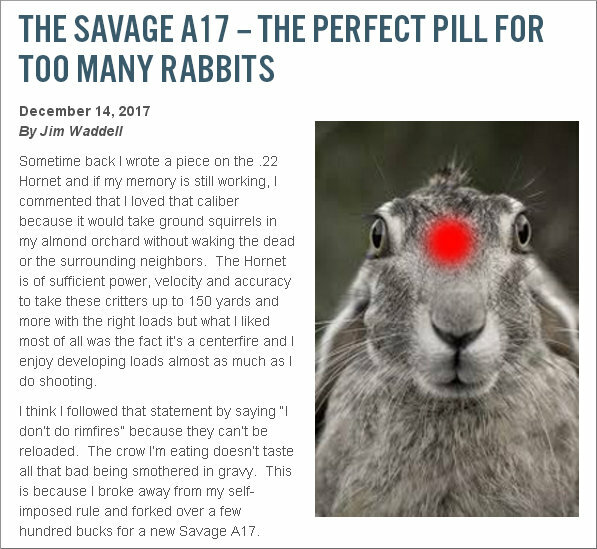 Share the post "Bunny-Busting with Savage A17 in 17 HMR"
To err is human… Sooner or later you’ll probably get a case stuck in a die. This “fix-it” article, which originally appeared in the Western Powders Blog, explains the procedure for removing a firmly stuck cartridge case using an RCBS kit. This isn’t rocket science, but you do want to follow the directions carefully, step-by-step. Visit the Western Powders Blog for other helpful Tech Tips. Sticking a case in the sizer die is a rite of passage for the beginning handloader. If you haven’t done it yet, that’s great, but it probably will eventually happen. When it does, fixing the problem requires a bit of ingenuity or a nice little kit like the one we got from RCBS. The first step is to clear the de-capping pin from the flash hole. Just unscrew the de-capping assembly to move it as far as possible from the primer pocket and flash hole (photo at right). Don’t try to pull it all the way out. It won’t come. Just unscrew it and open as much space as possible inside the case. Place the die upside down in the padded jaws of a vise and clamp it firmly into place. Using the supplied #7 bit, drill through the primer pocket. Be careful not to go too deeply inside the cartridge once the hole has opened up. It is important to be aware that the de-capping pin and expander ball are still in there and can be damaged by the bit. Once the cartridge head has been drilled, a ¼ – 20 is tap is used to cut threads into the pocket. Brass is relatively soft compared to a hardened tap, so no lube is needed for the tapping process. RCBS says that a drill can be used for this step, but it seems like a bit of overkill in a project of this nature. A wrench (photo above right) makes short work of the project. RCBS supplies a part they call the “Stuck Case Remover Body” for the next step. If you are a do-it-yourselfer and have the bit and tap, this piece is easily replicated by a length of electrical conduit of the proper diameter and some washers. In either case, this tool provides a standoff for the screw that will do the actual pulling. Run the screw through the standoff and into the tapped case head. With a wrench, tighten the screw which hopefully pulls the case free. Once the case is free, clamp the case in a vice and pull it free of the de-capping pin. There is tension here because the sizing ball is oversized to the neck dimension as part of the sizing process. It doesn’t take much force, but be aware there is still this last little hurdle to clear before you get back to loading. Don’t feel bad, everyone does this. Just use more lube next time! Article find by EdLongrange. We welcome reader submissions. Share the post "FIX-IT: How to Remove a Cartridge Case Stuck in a Die"
Doug Koenig will exchange the Smith & Wesson hat for one with the Ruger logo this season. The 18-time Bianchi Cup Winner has joined Team Ruger, and will shoot Ruger pistols and rifles in 2018. Doug Koenig, one of the greatest pistol shooters of all time, has a new team. 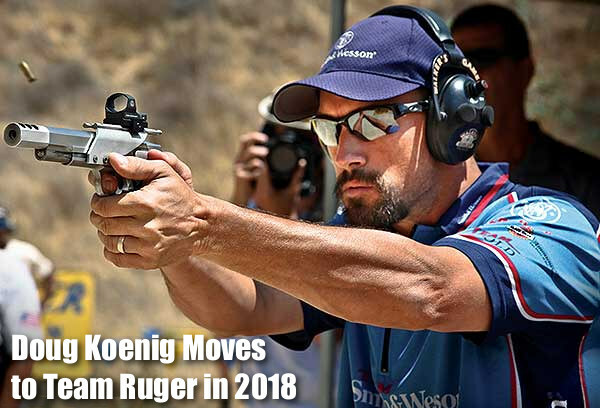 The long-time Team Smith & Wesson stalwart has joined newly-formed Team Ruger as its Team Captain. Doug will shoot Ruger 1911-style handguns and Ruger polymer pistols. 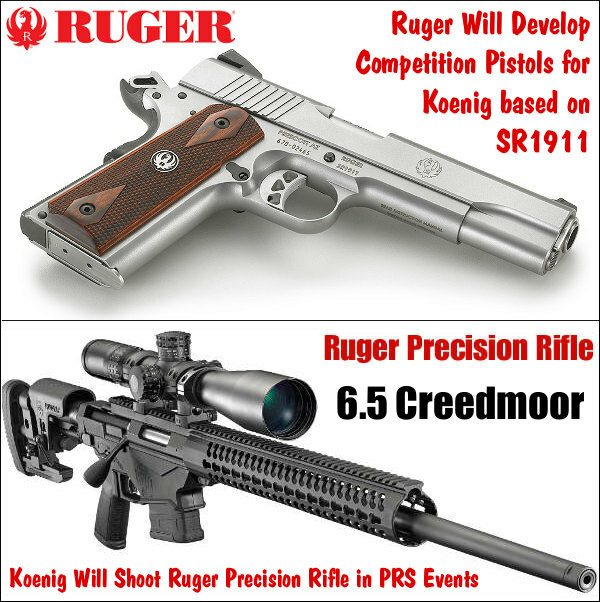 Interestingly, Koenig will also field a Ruger Precision Rifle for some PRS-style events. Doug has actually done pretty well in the past shooting long guns. 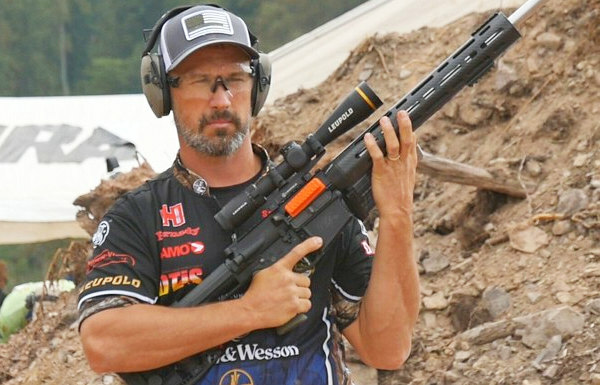 He won the 2015 NRA World Shooting Championship — a multi-day event featuring rifles and/or shotguns in most of the stages. This is the first time Ruger has ever fielded a full-fledged pro team. 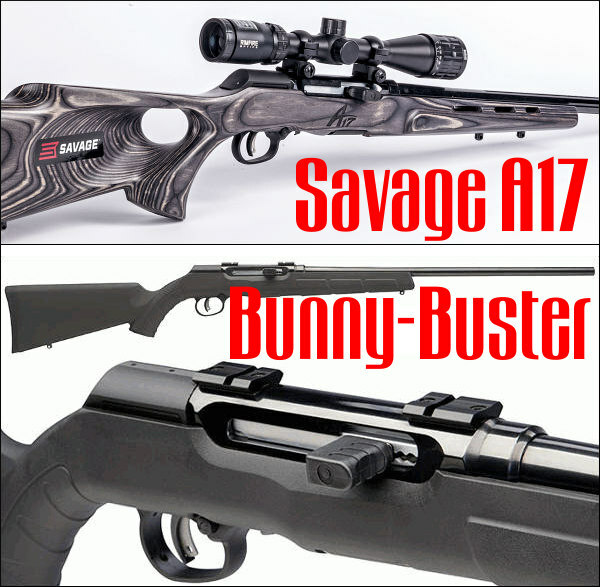 It is an interesting development for Ruger, which has a product mix suitable for a variety of disciplines: Rimfire Challenge, Cowboy Action, IDPA/USPSA, Steel Challenge, and even PRS (Factory Class and Gas Gun Division). Why is Koenig leaving Smith and Wesson? It’s mostly about being “on the same page”. Talking to Jim Shepherd of the Shooting Wire, Doug explained: “I’ve been with Smith & Wesson for a very long time — and I want to be really clear about this – they’ve always been good to me.” But, there had been changes at S&W in recent years: “We were going in different directions, and I’d already told them I wasn’t re-signing this year. And when I was approached by Ruger, they were interested in my thoughts on guns.” Read Shooting Wire Report. Though best known as a pistolero, Koenig is a great long gun shooter as well. Doug won the 2016 NRA World Shooting Championship, beating a field of talented 3-Gun aces. Photo DougKoenig.com. Doug was impressed with Ruger’s design staff. He said they have already incorporated upgrades he wanted: “When I talked with Ruger engineers, they asked me what I thought — instead of telling me what they were going to do. So, I told them what I would like to see in a Ruger competition pistol, and it seemed like they were really listening.” In fact, Ruger immediately made upgrades: “A few days after Christmas I got a pair of Ruger pistols with the exact changes I’d talked about already done to them. That is exciting”. Share the post "Doug Koenig Leaves Smith & Wesson To Be Team Ruger Captain"